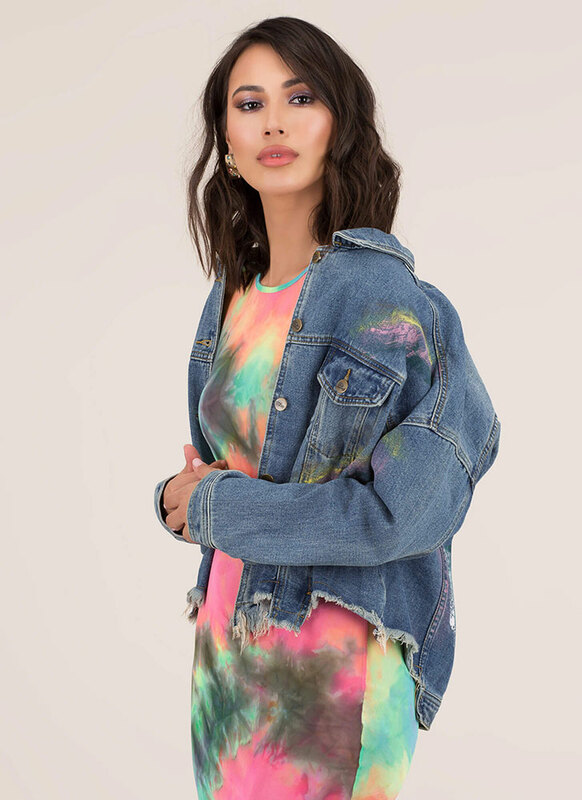 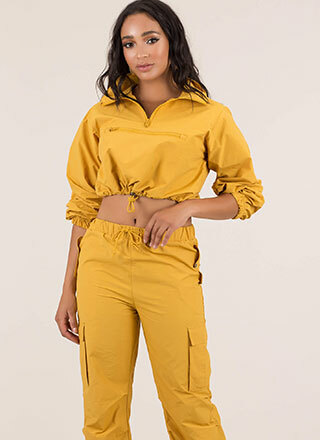 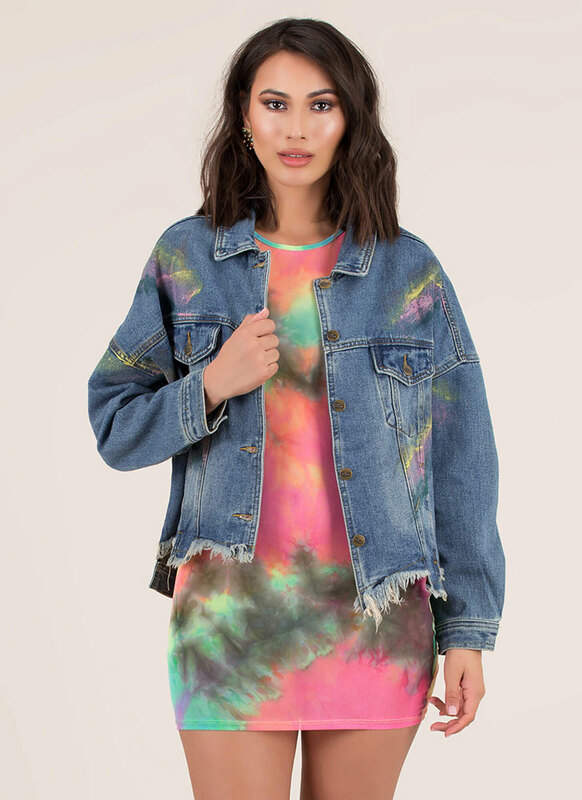 How cool are you gonna look covered in paint... Collared, non-stretchy, distressed denim jean jacket features an oversized silhouette, a button-up front, a fringed cut-off hem, and brushstrokes of paint scattered throughout for an airbrushed effect. 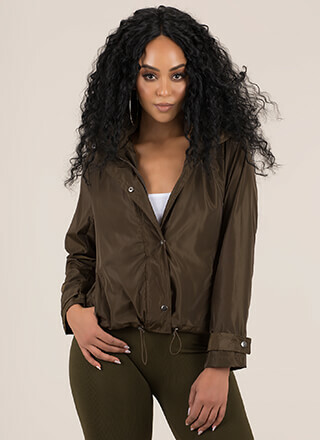 Jacket is finished with buttoned breast pockets and buttoned wrists. 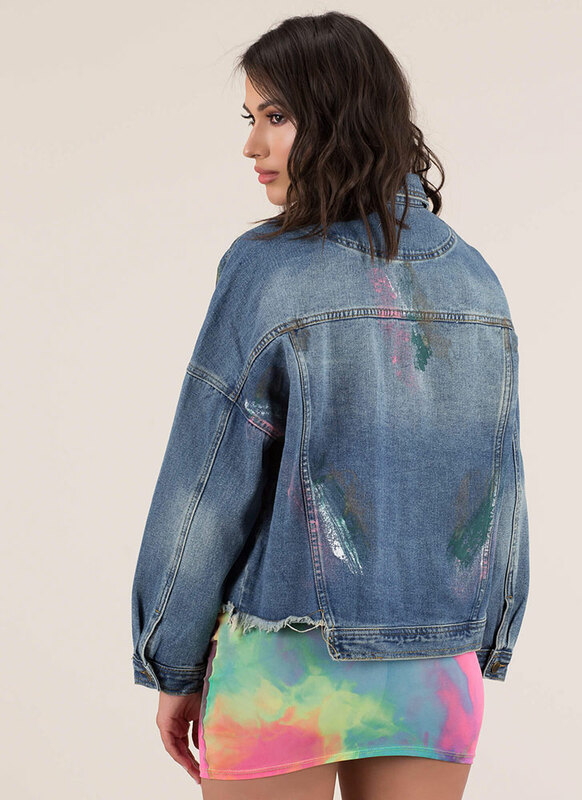 Distressing and pattern placement may vary slightly.